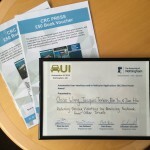 After presentation and voting by conventioneers, Chao Wang, PhD Candidate in the DI group, just got the Best Poster award of AutomotiveUI 15’, which is the premier forum for UI research in the automotive domain. 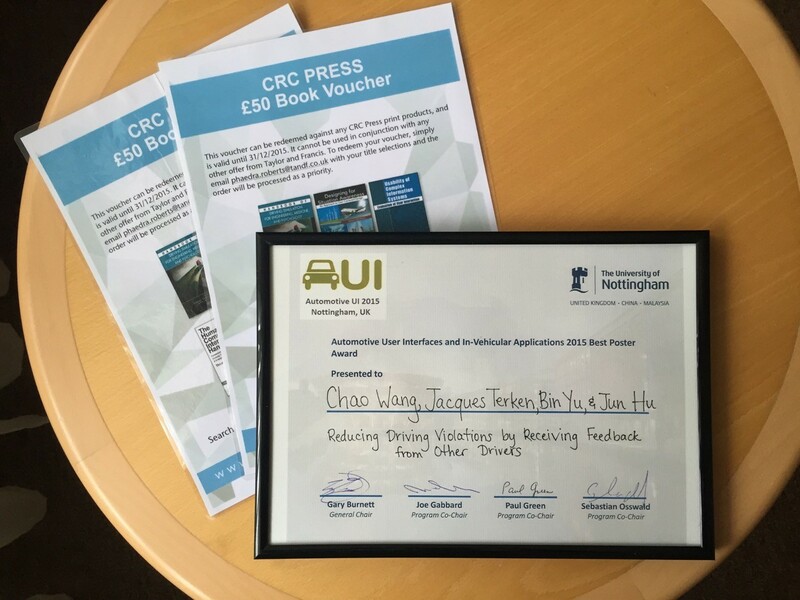 C. Wang, J. Terken, B. Yu, and J. Hu, “Reducing driving violations by receiving feedback from other drivers,” in Adjunct Proceedings of the 7th International Conference on Automotive User Interfaces and Interactive Vehicular Applications, Nottingham, United Kingdom, 2015, pp. 62-67.
by Carlijn Valk. M12 project. Elderly people with dementia often suffer from negative feelings such as loneliness and anxiousness due to increased social isolation, and confusion. 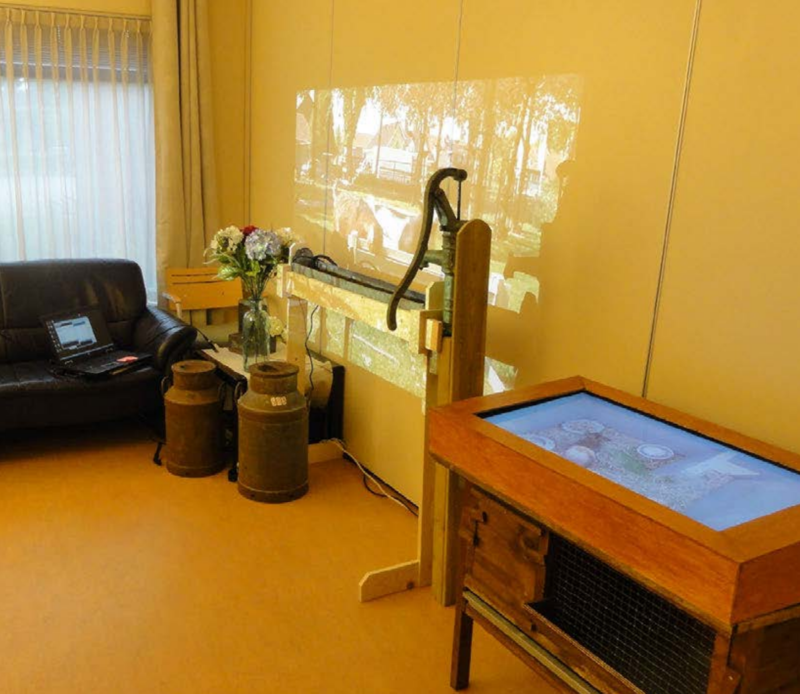 Design affords us the opportunity to create supportive environments that engage the elderly with dementia in such a way that they are stimulated in a positive way. From my investigations, it is clear that nature and animals have a positive effect on the emotions of residents living in care homes. However, it impossible for care providers to facilitate interactions with animals or nature. To answer this need I wanted to design an immersive experience that suggest a connection to nature for those in the care home that do not have the ability to be in nature due to limited supervision from care takers, limited outside space in urban located homes or mobility challenges. C. Valk, Supportive Environments, M12 Report, Department of Industrial Design, Eindhoven University of Technology, 2015.